Since it's a prototype, it's obviously quite basic. However the promise with this one is very clear! Pick a handle and then basically stick anything on it and swing it around at your enemies! How about a fancy looking sword? Sure you could do that—or you could swing around multiple Scythes attached by a chain link with a flamethrower, a couple of spike balls and a boxing glove because why the hell not. 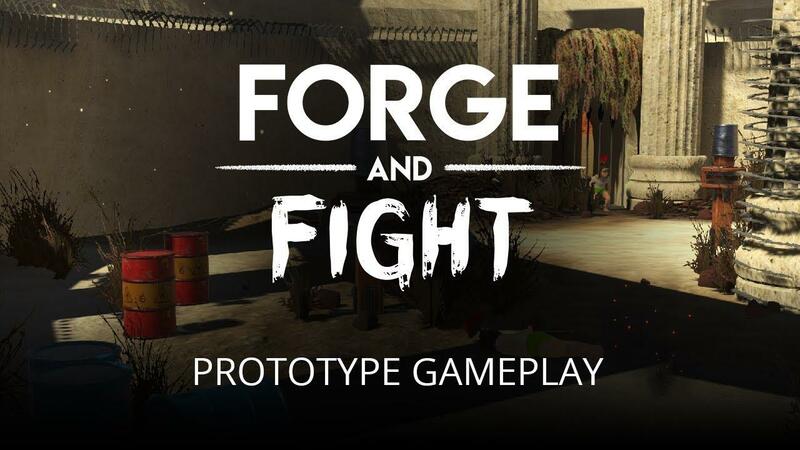 I'm not entirely sure how you would make a full game out of this, in the current form it's just a bunch of mindless fun for a few minutes but with the right idea to expand it further, Forge and Fight could be a very fun game. Perhaps going through different trials to unlock new parts? I don't know, I'm not a game developer but there's probably a great many ways to expand it into something truly awesome. Since I love the idea, I will follow it along and see if it becomes anything bigger. Grab it on itch.io as it's currently free. Free? Might as well give it a run.